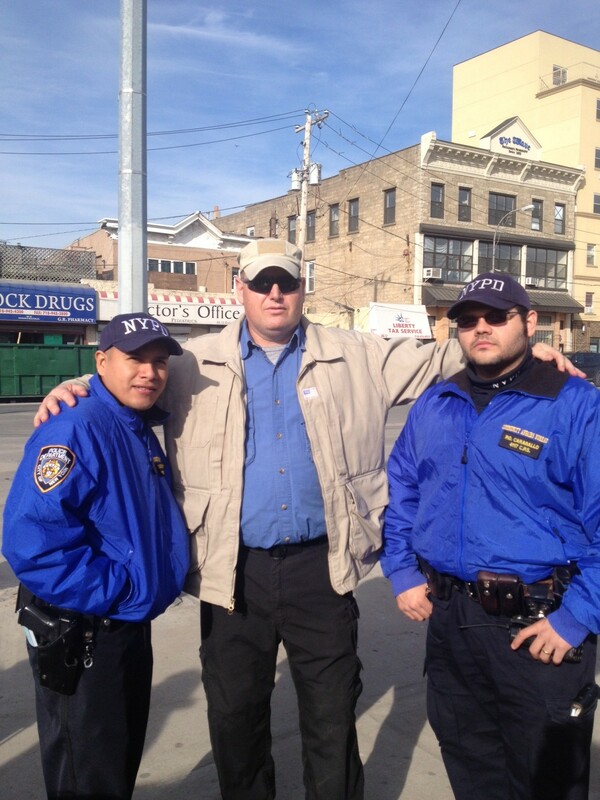 I met these two fine Officers while we were feeding Sandy victims in Rockaways, New York. They are Liaison officers in a different part of the city, they were pulled to help out in this area. Some of the Police are working 16 hour shifts and are very tired. The Borough Liaison Unit consists of specially selected police officers who are responsible for monitoring the Department’s eight patrol boroughs. These officers are chosen for their knowledge of local conditions, contacts with community organizations, and an ability to communicate with community members and police in the field. Liaisons are responsible for detecting community unrest and implementing early intervention strategies as well as acting as first responders when crisis does occur.